When setters use these techniques, hitters are able to get their feet to the ball and take their eyes off the set, which improves their court vision and helps them put the ball down. "The most important job of a setter is to set a hittable ball. Setting a hittable ball provides hitters with an opportunity to get a kill. Oftentimes, setters get caught up attempting very difficult sets, which distracts from the most important job of setting hittable balls and giving hitters chances to score. Experience and countless repetitions can help setters feel increasingly comfortable setting difficult sets while still delivering a hittable ball. But setters must never stray from the basics of setting. 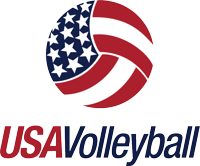 From first-year setters at the junior level to experienced setters at the international level, the most important job of a setter always remains the same: set a hittable ball." "To play this game really well, you have to read. You have to quickly get your eyes to the next actor, the next mover of the ball. One point we emphasize with our setters is ‘reading the platform,’ which means the setter is looking at and really seeing the passer’s arms contact the serve. To read best, a setter has to get to her spot fast, establish a balanced ready position facing the passer and be ready to pounce in any direction for any pass. Then, she has to look and really see the passer’s platform. The better a setter reads the platform, the faster she’ll identify where she has to go to run the offense." "It’s crucial that setters have exceptional leadership skills. A setter is the general of the floor and responsible for a tremendous amount of in-game decisions. In this leadership role, a setter must cultivate genuine and real connections with every team member to ensure they trust her and count on her stability as a leader. I often tell setters, ‘You are the psychologist of the team because everyone needs something a little bit different and it’s up to you to figure out what that thing is and how to give it to them.’ The coach can do only so much from the bench and it’s necessary to have someone on the court who can settle the team down when the match starts slipping away or fire the team up when it’s time to finish." "In beach volleyball, the shape of the set is very important. Top setters can apex the ball like a capital A and make the ball hang in a predictable path. In order to do this, setters have to work hard on position and technique. The best sets are performed when setters face the target with their belly buttons for front sets and their tailbones for backsets. It’s also important to drive the set with legs and hips, not arms. When setters use these techniques, hitters are able to get their feet to the ball and take their eyes off the set, which improves their court vision and helps them put the ball down." "One of the best things a setter can do to help a hitter is set the ball from a balanced posture. It’s much easier for the hitter to time the set when the setter’s body position is consistently balanced and the ball leaves her hands the same way each time. When setters deliver the ball from a balanced and neutral position with their hips and feet under them, it gives hitters confidence because they know exactly what to expect."